What Happens Next for 'The Daily Show'? What Happens Next for ‘The Daily Show’? With Jon Stewart announcing the end of his 16-year run as host of “The Daily Show,” there’s been questions about whether the popular Comedy Central show will be able to survive without him. For millions of people, young and old, The Daily Show is a primary vehicle for how they get their daily news. Executives at Comedy Central will likely look long and hard for a suitable replacement for Stewart, who essentially has established his own brand that blends politics, news, and satire. Names that have been thrown around are John Oliver, the former Daily Show comedian who hosts HBO’s “Last Week Tonight, Amy Schumer of Comedy Central’s “Inside Amy Schumer,” Tina Fey, Chris Rock, and others. Even former Daily Show host Craig Kilborn, who was on the show way back in 1996, was suggested on social media sites. 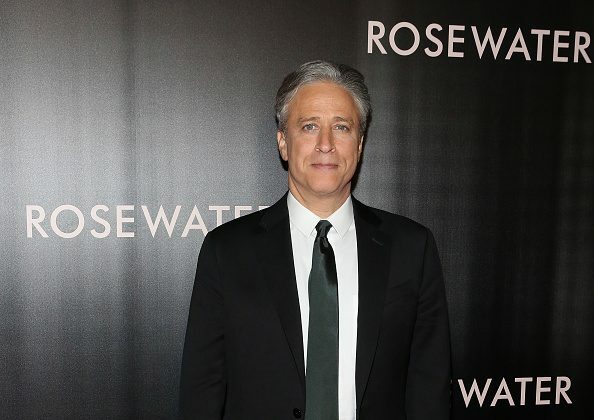 “Much like Saturday Night Live, the Daily Show has proven to be a exceptionally fertile source of great comedic talent, so there’s a good chance Stewart’s successor will do well as the new host. Steven Colbert and John Oliver developed successful spin-offs. Currently, Larry Wilmore seems on track to do well with his own spin-off,” said Mario Almonte, who is a public relations specialist who writes for the Huffington Post on popular culture, technology, and politics. The next host of the show will be under immense pressure, said Tom Hollihan, who is a professor at USC’s Annenberg School for Communication and Journalism. The next host may not be able to fill the Stewart’s shoes, but it’s worth noting that The Daily Show has been a critical means for Americans to get their news–particularly among the young, liberal crowd. As one high school teacher in Nevada notes, his students couldn’t believe Stewart is leaving. “My students are in a type of shock today, first losing [Steven] Colbert and then Stewart. For many of them, this was one of the primary ways to get news, and segments that interested them would inspire them to look deeper into the issue with other news sources,” Brent Busboom, an English teacher with Reno High School, told Epoch Times. “They don’t seem to be as interested in the replacements—Wilmore, Oliver—though those are still in their beginnings, so that could change,” he added. Busboom’s comment coincides with the findings of a 2012 Pew Research Centre survey, which discovered that the The Colbert Report and The Daily Show had the youngest audiences of 24 news sources. It found that 43 percent of The Colbert Report’s regular audience is under 30 years old, and 39 percent of The Daily Show viewers are the same. And for the fate of The Daily Show, Comedy Central President Michele Ganeless suggested in a statement that the Daily Show brand will be kept around. However, it’s unclear if changes will be made beyond Stewart’s departure.